The latest size? Worldwide Exclusive is nearly here. In less that a week, Friday 29th November, these two beauties drop; and it's going to be big! 'The drop that has people sleeping outside their local stores' kind of big. Since this duo graced the cover of Sneaker Freaker issue 28, I've been excited. In fact, I might go as far as to say, I think this is my favourite size? exclusive yet! 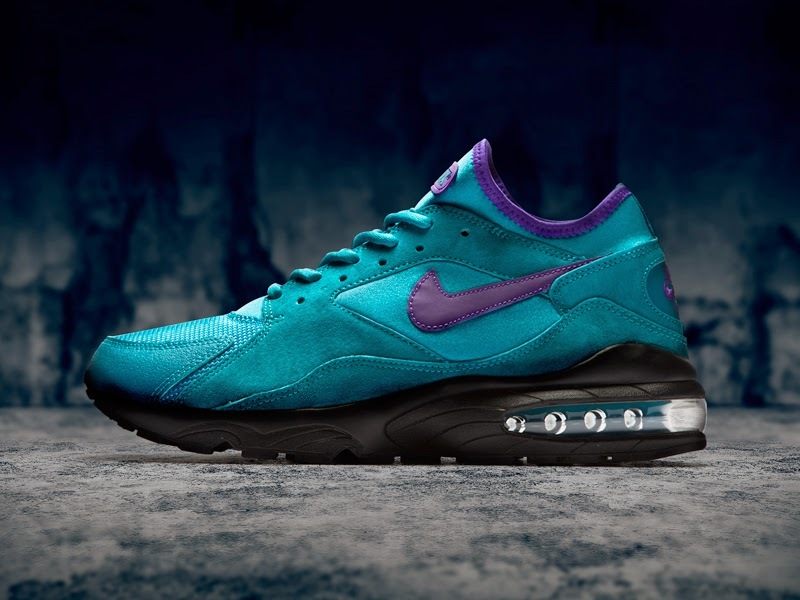 Both shoes adopt that silky colour combo of piercing blue azure and deep purple accenting; simply delightful. Click Read More for all the info! The the Air Max 93 has a dominantly blue upper, unlike the Huarache, and a deep purple sock lining. This ocean-like blue suede looks almost buttery soft upon that all black base. I'm a big fan of the naked bubble, and that 270 air unit seriously pops out of the back. It's definitely my favourite pair from this double pack. 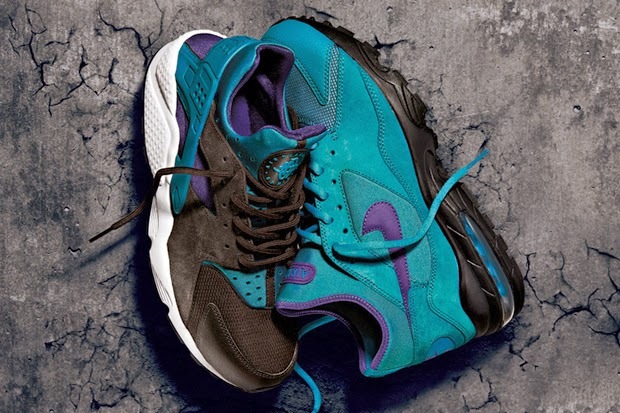 The Air Max 93 will be retailing at £100 and available in sizes UK5.5 - UK11. Extremely gutting for us ladies with seriously small feet! 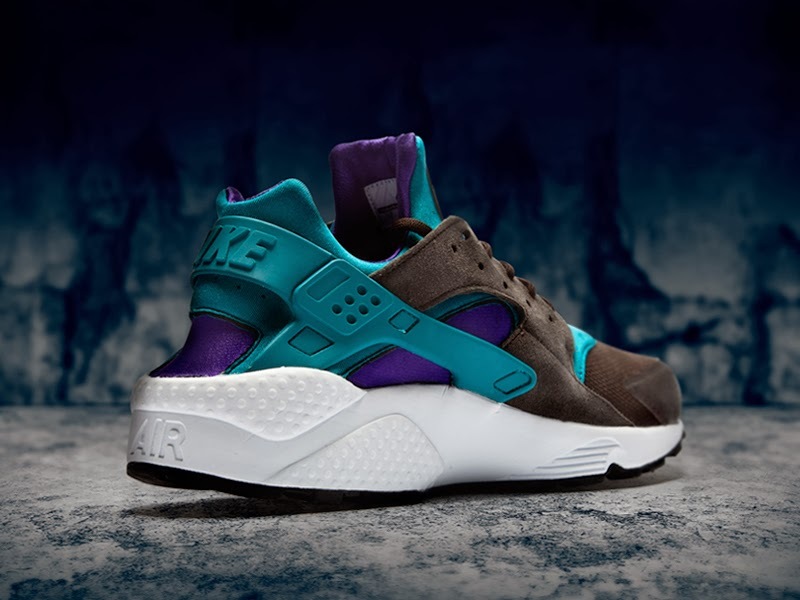 The Huarache remains loyal to it's to OG form and sports a purple sock lining like its brother. With the addition of the warm brown suede to the colourway, it's another brilliant job by size? and Nike; especially when it's bedded on that classic crisp white midsole. That roasted brown colour creeps up over the toe-box; a perfect contrast with the black outsole. The Air Huarache will be priced at £95 and will be available in sizes UK4.5 - UK11. Both pairs will be available at 8am on Friday 29th November via size? Facebook and Twitter pages. They will also be available from all size? stores. This is going to be tough, so make sure you sign up to their newsletter to increase your chance of getting your hands on these! You have 5 days - Be ready! NOW AVAILABLE: ASICS "CHRISTMAS PACK"